Home Articles Supplements BPC-157 – Hydrapharm’s Breakthrough in Joint Supplementation? BPC-157 – Hydrapharm’s Breakthrough in Joint Supplementation? 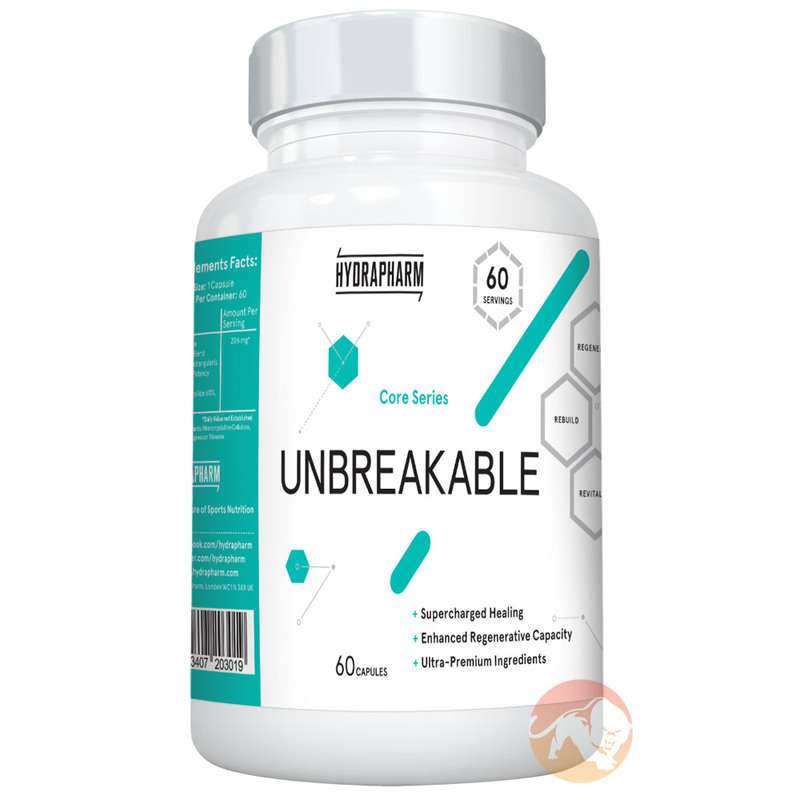 Always aiming to stay ahead in the supplement industry, Hydrapharm are now aiming to break into the joint support sector of the industry, through release of a brand new product they call ‘Unbreakable’. It will act as a strong rival to the pre-existing big names such as Glucosamine and Chondroitin, by featuring new and innovative ingredients which have only recently emerged as potentially more effective in the treatment of joint pain and inflammation. BPC-157 s one of such ingredients. In this article we will explore how BPC-157, and in turn how Hydrapharm’s Unbreakable represents a quantum leap in advancement for treating injuries and enhancing vitality/performance. Synovial joints are those which are most subject to constant stress as we move, so are surrounded by a sheath known as the Articular Capsule in order to maintain stability and act as protection. This mobile yet secure structure is also maintained by the presence of connective tissues: cartilage, ligaments and tendons. Cartilage is tough, fibrous and dense, and made up of either elastin or collagen (depending on whether it is elastic, hyaline or fibrocartilage) so is able to best withstand compression, wear and tear. Smooth movement is aided by the production of synovial fluid. However does not possess its own blood supply, so its ability to self-heal is very limited and relies on physical activity levels. Often, joint pain is caused by the wearing away/roughening of the articular cartilage found at the bone ends, which makes movement more difficult and gives rise to multiple complications. These can include thickening of the articular capsule and ligaments (causing stiffness), excess synovial fluid production (causing swelling) and osteophyte formation (causing the joint to shift from its normal/healthy position). The degradation of the Articular Cartilage and consequently the connective tissues is referred to as Osteoarthritis (OA), and is the most common joint condition in the modern world. Therefore, research continuously strives to search for a way of mitigating the onset of such by achieving optimal joint health, and relieving the associated symptoms in existing sufferers. Glucosamine = first prepared by Geog Ledderhose in the 1800s, Glucosamine did not receive further interest until the 1970’s, whereby it consequently emerged that the stereochemistry could warrant beneficial properties; with that the ability to prevent the action of catabolic enzymes in the body (Brandt et al. 2008., Altman et al, 2006.) as well as stimulate production of substances aiding protection of cartilage, ligaments and tendons (Miller, 2012). Since then, brands have continued to promote this product as the solution to joint issues when taken in doses between 1000-1500mg per day. Chondroitin = the lesser researched of the two, this ingredient owes its popularity on the large quantity of anecdotal evidence from users, claiming it has reduced joint pain and inflammation when taken in conjunction with glucosamine at a dosage of 1000-1200mg per day. Are these two ingredients massively overhyped? In accordance with contemporary research findings, the answer to this is tending more towards the ‘Yes’ end of the spectrum. There was a time when athletes would religiously swallow grams worth of glucosamine sulfate with the belief that this would restore their broken down bodies back to health. Smarter individuals would combine this with chondroitin sulfate and MSM (another popular joint support ingredient). But unfortunately, while these nutrients have been shown to have positive effects for some lucky users, they appear to only assist in the laying down of new collagen tissue. This renders them useful for those with cartilage injuries but less so for anyone else. In addition, significant flaws in studies which had previously been used to support the efficacy of these two ingredients – used alone or in conjunction. These flaws include small sample sizes and bias in regard to trial funding (studies on both of these ingredients showing a desirable result are very often funded by the joint support retail industry (Vlad et al. 2007)). Scientific literature has predominantly found that any supposed benefits of taking Glucosamine (alone or alongside Chondroitin) are very minor. Herrero-Beaumont et al. (2008)’s study yielded only a 39% response rate in participants who took Glucosamine compared with 21.1% response from those who took a placebo. Similarly, Bondreaeu (2014) found that there was no significant difference between glucosamine and a placebo in terms of joint health improvement. The same goes for Chondroitin, whereby Jackson et al. (2010) concludes that reduction of joint pain is unlikely to be caused directly by Chondroitin Sulfate supplementation. Such findings have led many to suggest that supplementation from one of/both these ingredients yields merely minor effects in the treatment of joint problems, and that the physiological changes they catalyse may do no more than just ‘interfere’ with the progression of conditions such as osteoarthritis, rather than offer a treatment option. Furthermore, with their taking months to demonstrate an effect whereas the patience of most athletes is usually measured in days, this combination of compounds has usually been disregarded by many. BPC-157 offers a new and exciting route in the treatment and prevention of joint issues, as it appears to catalyse regenerative effects both on a cellular and hormonal level. It is a synthetic peptide chain, composed of 15 amino acids derived from a protective protein found in the stomach, and has been found by multiple studies to have a significant effect in stimulating angiogenesis – the production of new vessels by modulating a growth factor known as VEGF. What this does is encourage the growth of capillaries into new areas, and this in turn enables blood, and henceforth nutrient, delivery to that area – a process which drives healing. The growth hormone stimulating properties of BPC-157 has also been suggested to stimulate cell growth. When applied to areas such as the joint tendons, this could lead to total regeneration over time and also a reduction in joint pain and inflammation (Chang et al. 2011, 2014). It represents a massive jump in performance enhancement, not just in terms of joint healing but also its ability to reduce damage in organs, bones, the digestive tract, have neuroprotective effects and even improve ulcer recovery. Why is Unbreakable so special? 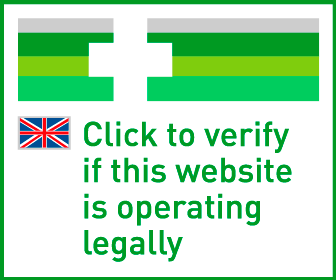 Put simply, the ingredient profile of this product is unrivalled. It contains not only BPC-157, but two other key ingredients which together make up an extremely potent blend which will act as a precursor for modern injury treatment. - Effects encompassing not just soft tissue but even accelerated healing from fractures of bones. Since the introduction of Cissus a number of other ingredients have been introduced which have demonstrated results in both research and the real world. To pick out a couple of examples, Heteropterys Aphrodisiaca is a compound found in the best selling joint supplement Achilles which has been shown to improve tendon strength, while doubling up as a memory enhancer as well! The third ingredient which has shown some stellar results is Andrographis Paniculata, the key component in Iforce Nutrition's Joint Help where it is listed under its trade name Paractin. Andrographis exhibits anti-inflammatory, anti-viral and antibacterial effects with one study conducted showing that the group supplemented with Andrographis experienced a reduction in joint pain as well as reduction in their levels of inflammatory markers such as IgA and IgM. Unlike glucosamine and the like, Andrographis has also been shown to have a positive effect on reducing pain caused by rheumatoid arthritis. Altman, R.D., Abramson, S., Bruyere, O,. Clegg, D, Herrero Beaumont G, Maheu E, et al. (2006) Commentary: osteoarthritis of the knee and glucosamine. Osteoarthritis Cartilage. (14) p. 963–966. Block, J.A., Oegema, T.R., Sandy, J.D., Plaas, A. (2009) The effects of oral glucosamine on joint health: is a change in research approach needed? Osteoarthritis Cartilage. Brandt, K.D., Dieppe, P., Radin, E.L. (2008) Etiopathogenesis of osteoarthritis. Rheumatic Diseases Clinics of North America. (34) 531–559. Chang, C.H., Tsai, W.C., Lin, M.S., Hsu, Y.H., Pang, J.H. (2011) The promoting effect of pentadecapeptide BPC 157 on tendon healing involves tendon outgrowth, cell survival, and cell migration. Journal of Applied Physiology. 110(3), p. 774-80. Chang, C.H., Tsai, W.C., Hsu, Y.H., Pang, J.H. (2014) Pentadecapeptide BPC 157 enhances the growth hormone receptor expression in tendon fibroblasts. Molecules. 19(11), p. 19066-77. Grgic, T., Grgic, D., Drmic, D., Sever, A.Z., Petrovic, I., Sucic, M., Kokot, A., Klicek, R., Sever, M., Seiwerth, S., Sikiric, P. (2016) Stable gastric pentadecapeptide BPC-157 heals rat colovesical fiscula. European Journal of Pharmacology. 5, p. 1-7. Kent Kwoh, C., Roemer, F.W., Hannon, M.J., Moore, C.E., Jakicic, J.M., Guermazi, A., Green, S.M., Evans, R.W., Boudreau, R. (2014) Effect of Oral Glucosamine on Joint structure in Individuals with Chronic Knee Pain. Arthritis & Rheumatology. 66 (4), p.930-939. Klicek, R., Kolenc, D., Suran, J., Drmic, D., Brcic, L., Aralica, G., Sever, M., Holjevac, J., Radic, B., Turudic, T., Kokot, A., Patrlj, L., Rucman, R., Seiwerth, S., Sikiric, P. (2013) Stable gastric pentadecapeptide BPC 157 heals cysteamine-colitis and colon-colon-anastomosis and counteracts cuprizone brain injuries and motor disability. Journal of Physiology and Pharmacology. 64(5), p. 597-612. Molloy, T.J., Wang, Y., Horner, A., Skerry, T,M., Murrell, G.A. (2006) Microarray analysis of healing rat Achilles tendon: evidence for glutamate signaling mechanisms and embryonic gene expression in healing tendon tissue. Journal of Orthopaedic Research. 24(4), 842-55. Petersen, S.G., Saxne, T., Heinegard, D., Hansen, M., Holm, L., Koskinen, S., et al. (2009) Glucosamine but not ibuprofen alters cartilage turnover in osteoarthritis patients in response to physical training. Osteoarthritis Cartilage.